Clarkson University and the SUNY College of Environmental Science and Forestry (ESF) have been recently designated to launch New York state's new Center of Excellence (CoE) in Healthy Water Solutions. State funding for the new CoE was supported by state Senator Rachel May and Assemblyman Al Stirpe with signatures from representatives from around the state. First year of funding is currently at $125,000.The two partners plan a collaborative model to deploy experts and students to deliver technology innovations and research-based solutions with local partners taking on complex challenges in their aquatic systems and water infrastructures. "Climate change is wreaking havoc on our lakes and waterways in Central New York," said May. "The increased presence of harmful algal blooms coupled with our aging infrastructure endangers the future health of our waters. It is critical that we invest in practical and innovative solutions to these complex problems. We are lucky to have tremendous resources for seeking such solutions in the faculty here at SUNY-ESF, as well as in their close partnership with Clarkson. We will now be able to utilize their knowledge to its fullest potential for the benefit of all New Yorkers. The new Center of Excellence in Healthy Water Solutions is uniquely positioned to revolutionize our understanding and management of aquatic systems for New York and the world." Assemblyman Al Stirpe said, "New York State, and especially our Central New York region, has abundant water resources to manage and safeguard. The recent designation of the Clarkson - ESF Center of Excellence in Healthy Water Solutions will bring innovation and momentum to advancing public-private collaboration across sectors to address critical water infrastructure and aquatic systems protection that is needed here and around the nation." Clarkson's world-class technical, innovation and engineering expertise in healthy water systems and ESF's renowned expertise in monitoring, watershed ecosystem management, and natural solution development uniquely position this CoE to create and leverage partnerships across public-private sectors. The center will work with state government agencies and affected municipalities to address problems related to emerging and traditional contaminants, and the aging water infrastructure. Focusing on water and the natural environment, the CoE will work with industry, government and regional university collaborators to develop early-warning systems to monitor, model, predict and avoid threats before they become issues. The center will also work on management practices and ecosystem design to improve the resilience of New York state's water assets. "We appreciate the tremendous bipartisan support from the Governor and his executive team, and our senators and assembly representatives to advance healthy water solutions with partners across the state through a Center of Excellence," said Tony Collins, president of Clarkson University. "Together, we recognize the national and statewide sense of urgency to protect New York's valuable water resources while also ensuring their role as an engine for economic growth and vitality." ESF Interim President David Amberg said the new center will provide opportunities for the environmental leaders of tomorrow to learn how to address some of the most pressing environmental issues of our time. "The abundance of water is one of our region's biggest assets, and will only become more valuable in the face of climate change," Amberg said. "This partnership with Clarkson will help protect New York's waterways and, by extension, improve human health and the natural environment throughout the state." For information on how you can get involved in the Center's emerging activities, please contact the Clarkson Vice President for Research & Scholarship, Gina Lee-Glauser at vpr@clarkson.edu. The Centers of Excellence, administered through NYSTAR, foster collaboration between the academic research community and the business sector to develop and commercialize new products and technologies, to promote critical private sector investment in emerging high-technology fields in New York State, and to create and expand technology-related businesses and employment. This program was created to enhance and accelerate the centers' operations, facilitating joint university-industry research and development, product commercialization and workforce training. As a private, national research university, Clarkson is a leader in technological education and sustainable economic development through teaching, scholarship, research and innovation. We ignite personal connections across academic fields and industries to create the entrepreneurial mindset, knowledge and intellectual curiosity needed to innovate world-relevant solutions and cultivate the leaders of tomorrow. With its main campus located in Potsdam, N.Y., and additional graduate program and research facilities in the New York Capital Region, Beacon, N.Y., and New York City, Clarkson educates 4,300 students across 95 rigorous programs of study in engineering, business, the arts, education, sciences and health professions. Our alumni earn salaries that are among the top 2.5% in the nation and realize accelerated career growth. One in five already leads as a CEO, senior executive or owner of a company. 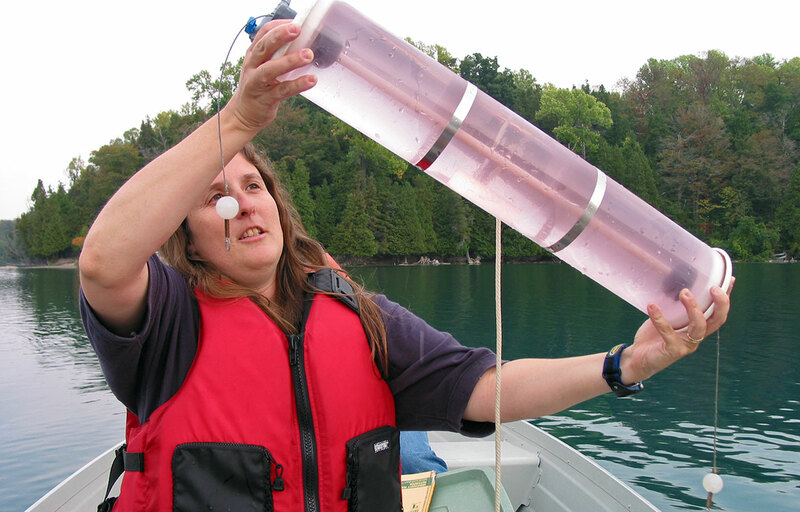 ESF has been a leader in environmental science for 108 years and maintains vigorous research programs focused on water in the fields that include environmental chemistry, hydrology, and environmental and forest biology. ESF is the largest educational institution in the United States focused exclusively on the study of the natural and built environment. Members of the college community share a passion for protecting the health of the planet and a deep commitment to the rigorous application of science to improve the way humans interact with the world. The college offers academic programs ranging from the Associate of Applied Science to the Doctor of Philosophy. ESF students live, study and do research on the main campus in Syracuse, New York, and on 25,000 acres of field stations in a variety of ecosystems across the state.